Camp is now full! Call Rivkie 917-575-3917 to find out if a space becomes available. Register for just one day, few days or all week! Every minute filled with activity and fun! Trips! Crafts! Exciting Activities! Warm Loving Staff! Lunch & Snacks included. Days Attending:* $40 a day or $120 all 4 days! Days Attending: $40 a day or $120 all 4 days! As the parent(s) or legal guardian of the above child/ren, I/we authorize any adult acting on behalf of Chabad 5 Towns/ Chabad of Hewlett Winter Camp to hospitalize or secure treatment for my child/ren, I further agree to pay all charges for that care and/or treatment. 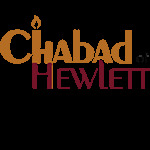 It is understood that if time and circumstances reasonably permit, Chabad 5 Towns / Chabad of Hewlett Winter Camp personnel will try, but are not required, to communicate with me prior to such treatment. I hereby give permission for my child/ren to participate in all camp activities, join in camp trips on and beyond camp properties and allow my child/ren to be photographed while participating in Chabad 5 Towns// Chabad of Hewlett Winter Camp activities and that these pictures may be used for marketing purposes.